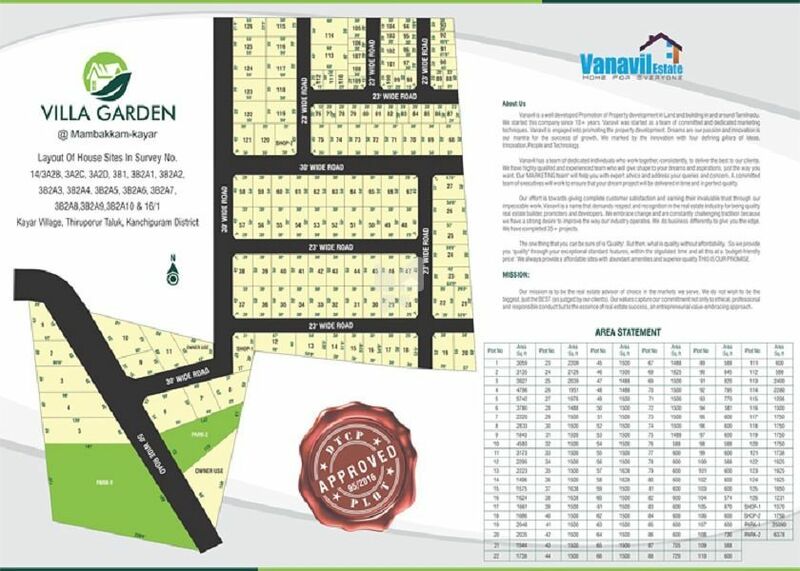 How Far is Vanavil Villa Garden? Vanavil Villa Garden is one of the residential developments of Vanavil Estate. It offers residential land and commercial space. The project is well equipped with all the basic amenities to facilitate the needs of the residents.